After a long day of hair cuts, babysitting, burning my fingers with hot salmon and cleaning, I was ready for a break so I picked up a Pomegranate. It’s such a fascinating piece of fruit, entirely tempting, yet it’s almost as difficult to eat as it is to spell. While singing along with my playlist and getting juice stains around the corners of my mouth, I was proud to set before me a bowl of Pomegranate seeds. 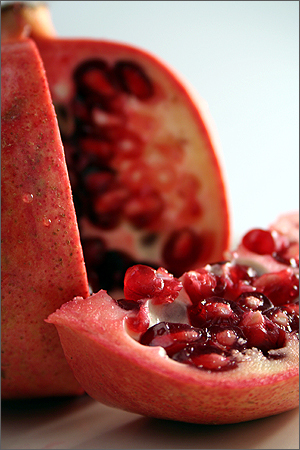 Its one of the most satisfying fruits you will eat. After spending all of that time popping out seeds, you feel like you’ve mastered the art of self-control, or that you’ve done someone a gigantic, big, good, favor.